I've never been one to collect things. Coins. Baseball Cards. Rocks. Boyfriends. I don't have the desire, the motivation, the energy, or the commitment to collect items. 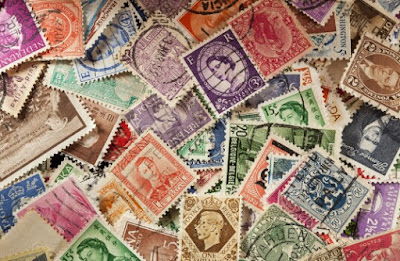 While I will never have an impressive stamp collection, imagine my surprise today -- my birthday -- when I looked at my phone and realized that, although I am not a master collector of items, I do have the most amazing collection of people in my life. There were people I teach with who inspire me every day to be the best educator I can be. And there were people I taught with. Individuals who lifted me up and mentored me as I learned and struggled and grew into the teacher I am now. There were childhood friends. Friends who have known me since kindergarten. Friends who made me cards when my dad died. Friends who spent their days riding bikes with me in the neighborhood and who spent summers with me building forts and selling lemonade. There were the friends of my teenage years. People I had sleepovers with and snuck out with. Who learned -- first hand -- just how terrible of a driver I am, and who still got in the car with me anyway. They laughed with me, laughed at me, got in trouble with me, sat in classes with me, skipped classes with me, graduated with me and forever impacted me. There were college friends. Individuals I shared dorm rooms with. Friends who woke me up every Friday morning at 7 a.m. so I would make it to Art Appreciation. These were the same friends who had me out until 4 in the morning before Art Appreciation. They studied for finals with me, shopped with me, "Spring Breaked" with me, sang Sublime songs with me at the top of their lungs, and they managed to make life away from home comfortable and safe and fun. There were family members. My mom. Aunts. Brothers. Uncles. Cousins. Grandparents. People who have been an important part of each holiday, birthday and special moment of my life. People who call me "Big Al" instead of "Ali". People who call me "Alison" when I am in trouble. People who have known me better and longer than most. People who love me unconditionally. There were "my people." The people who truly get me. They offer me gifts of democratic socialism and talk the Iowa caucus with me. They call me saucy and sassy and sweet, because I kinda really am. They are people who bare their souls by sharing their beautiful stories with me -- my writer friends. They are mothers who have graciously allowed me to sit next to them as we journey through parenthood, and who take the time to share fever remedies and talk poop consistency with me. They are past students who -- years after having left my classroom -- take the time to stop by and wish me well. They are past teachers who continue to be my biggest role models. And there was my husband -- who probably knows me the best and loves me anyway. I do not know how I ended up with such an awesome collection of people in my life, but I am thankful. I may never get rich from having a valuable collection of items, and that's okay, because my life is blessed with the gift of invaluable people. So sweet. We ALL love you!